Many thanks to Applied Solar Energy/Solex for purchasing fifty copies to give to their clients! 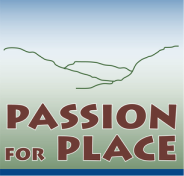 Passion for Place is available at River House Books at the Crossroads Shopping Center, and the Henry Miller Memorial Library in Big Sur. To order books directly from Paola or for any questions you may have, please fill out the form below or call 831.624.9467. Currently, payment by check or cash (in person) is accepted. Purchase of Passion for Place supports the ongoing conservation and maintenance of habitat for the red-legged frogs (a threatened species and the official state amphibian) and all animals and plants that call this place (7.69 acres) home. The red-legged frogs have been breeding here for the past 8 years. Two more tanks to collect rainwater have been installed for a total capacity of 19,000 gallons of saved rainwater! The frogs and all animals thank you for your support! This is one of ten red-legged frogs sited on September 2, 2012 at my home garden. The pond is topped up during the summer with rain water captured during the winter. Website content posted and maintained by Paola Berthoin.